The Industrial production index (IPI or industrial output/volume index) measures fluctuations in the price-adjusted output of any industry on a monthly basis. This business indicator is one of the most important short-term statistical data. Thanks to IPI, it is possible to pinpoint turning points in economic development and also predict the development of GDP. In this overview, we’re going to take a look at the industrial production in Europe based on the European IPI numbers. Statistics on industrial production in Europe are available on a monthly basis due to the high importance of the indicator. IPI belongs to a group of principal indicators used for monitoring of economic and monetary policies in the European Union. Compared to April 2016, industrial production in Europe has increased by 1.4% in April 2017. If we follow the progress month-by-month, March 2017 was even more successful with an increase of 2.2%. It is the biggest gain for the first 5 months of 2017. In the meantime, the forecast for March 2017 was 2%, while in April it was only 1.5% according to analytics. The main contribution to the rise came from energy production. Output rose at a comparatively lower rate for durable consumer goods, (4.6% from 5.7% in March); intermediate goods (3% percent from 3.6%); capital goods (1% from 3.7%) and non-durable consumer goods (0.6% from 1.6%). In the EU 28 countries, output increased similarly on an annual basis by 1.4% in April, after a surprise 2.7% rise in March. The winners among EU countries in industrial production were Latvia with a 9.6% rise, Estonia 9.6% and Slovenia 7.8% with the largest drops recorded in Luxembourg -3.3% and Slovakia -3.2%. Production increased faster in Germany (2.4% from 1.9% in March). 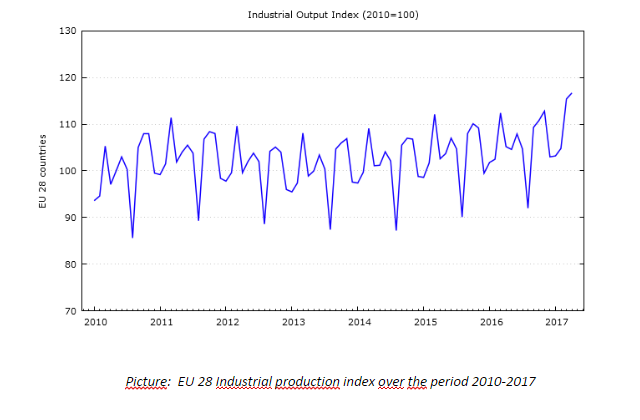 The EU industrial production index is a business cycle indicator which measures monthly changes in the price-adjusted output of various industrial sectors in the EU/EFTA countries. This is a strong indicator of the demand in the EU/EFTA countries for productions capital (machinery used for production). Since 2014 the index has been on the rise, leaving behind the negative effects of the financial crisis of 2009. This has translated into a very dynamic and strong demand for used machinery in Europe in the recent years. Following the trend of rising industrial production, European used machinery market has also been on the rise. The main factor contributing to the rising demand for used machinery is the existence of global online marketplaces. Online catalogs of used machinery have made international deals between machine buyers and sellers worldwide possible. Used machinery from Europe belongs among the bestselling pieces of equipment. 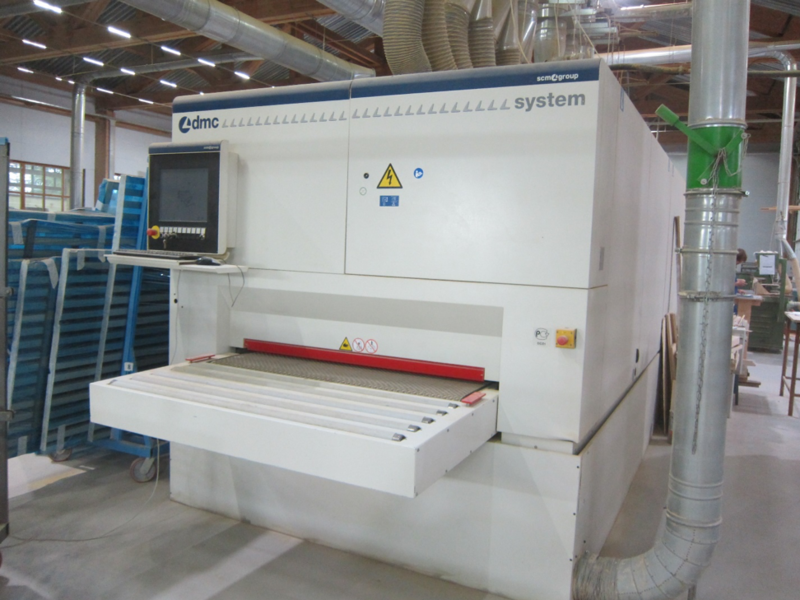 The reasons for such popularity of used industrial machines from EU are pretty straightforward. As opposed to developing countries, European users tend to invest more into the actual machine purchase. A good high-quality machine manufacturer plays a significant role when deciding upon a new piece of machinery equipment. Used machines from Europe are usually well-maintained, regular overhauling is a natural part of the production process. So purchasing a used machine from Europe, the buyer can be sure to get a piece of equipment in good condition. Well-known machinery brands also provide longer warranty period and more favorable service conditions.